Very belatedly The Guy received his birthday present. I've been wanting to put a chess set on the game table ever since I got it but our old ones were tiny and pretty beaten up. 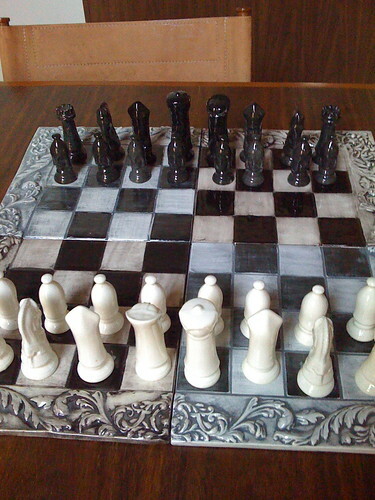 This vintage ceramic chess set came up on ebay just before The Guy's big day. Of course ceramic isn't as durable as wood or metal so we're hoping the cats don't jump up and start playing with the pieces-at least not before he's managed to have a game!